This week, the wrestling world mourns the passing of one of its greatest and most hilarious performers. Raymond Heenan, a.k.a. 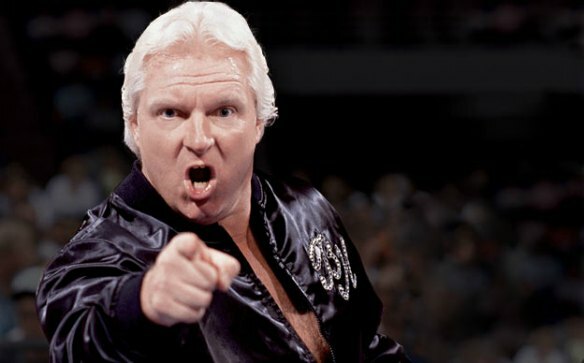 Bobby “The Brain” Heenan passed away Sunday at the age of 72. I became a wrestling fan, specifically a WWF fan, in 1996. By that time Heenan was already an announcer for WCW. But my brother and I would always rent VHS tapes of the old pay per views. That was my first exposure to Heenan, both as a manager and an announcer. As the internet age began, I became more and more familiar with his range as a performer and the scope of his career. As virtually anyone who has watched his work from that era will tell you, his verbal skills, his wit, and his comedic timing were unparalleled. All these years later, Bobby may still be in a class by himself. And yet, he made such a natural slimy and underhanded villain. It’s no accident that he was put with top stars like Andre the Giant, Ric Flair, “Ravishing” Rick Rude, and so many others. Heenan’s voice is synonymous with what many consider to be the golden age of WWE. In terms of the company’s global expansion, he was as integral as almost anyone. Like Jim Ross, Jesse Ventura, and other great announcers, his voice is plastered on to moments that are indelibly etched in our minds and hearts. The 1992 Royal Rumble comes to mind (Shout out to Solomonster. ), as does the famous Barbershop segment between Shawn Michaels and Marty Janetty. And then of course, you’ve got all his work with Gorilla Monsoon. Whenever I need cheering up, there’s a clip of Heenan cracking Monsoon up that gets me every time. Bobby "The Brain" Heenan elevated pro wrestling. His wit, humor & charisma influenced a generation. We are forever indebted to him. The key word there? “Elevated.” Bobby Heenan was one of those performers that truly made pro wrestling into an art form, and not just two guys pretending to fight. In his case, it became a comedic showcase on par with just about anything. The fact that so much of it still holds up today is a testament to that. Thanks for the memories, Brain. We love you. 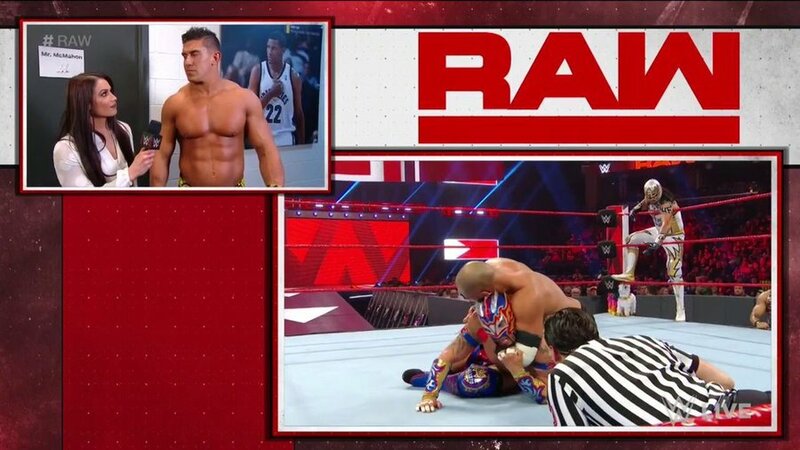 After the Miz interrupts Kurt Angle at the top of the show, a scuffle breaks out between Jason Jordan and the Miztourage. Later in the show, a Six Pack Challenge will determine the top contender for the Intercontinental Title at No Mercy. This segment was really flat. Miz said all those inflammatory things about Kurt being a deadbeat dad, and he just stood there and took it. Why? Because he was waiting for Jordan to come out. I get the whole “it takes more strength not to fight back” thing. But Angle just stood there, barely selling it at all. 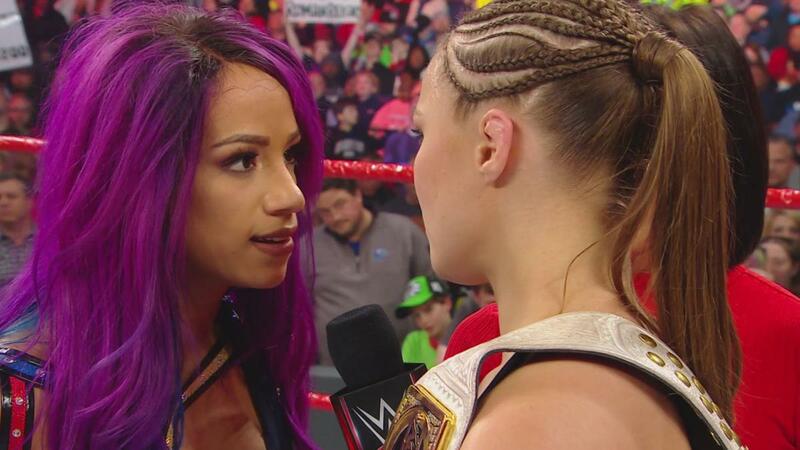 Nia Jax def. Alexa Bliss. Bliss, Sasha Banks, and the returning Bayley take Jax down after the match. Banks and Bayley then lay out Bliss. 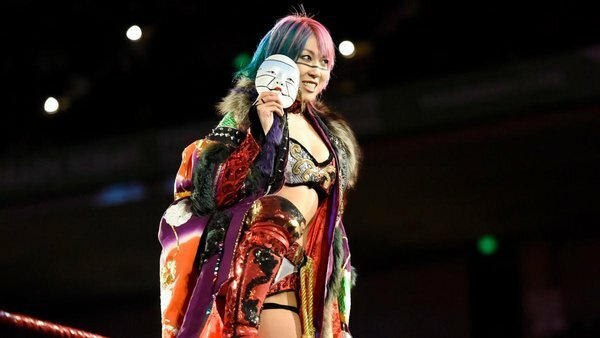 Bayley is later added to the title match at No Mercy. An abrupt return for Bayley. Not sure I wouldn’t have kept her off TV until after No Mercy. Let’s hope they can keep her from getting booed. 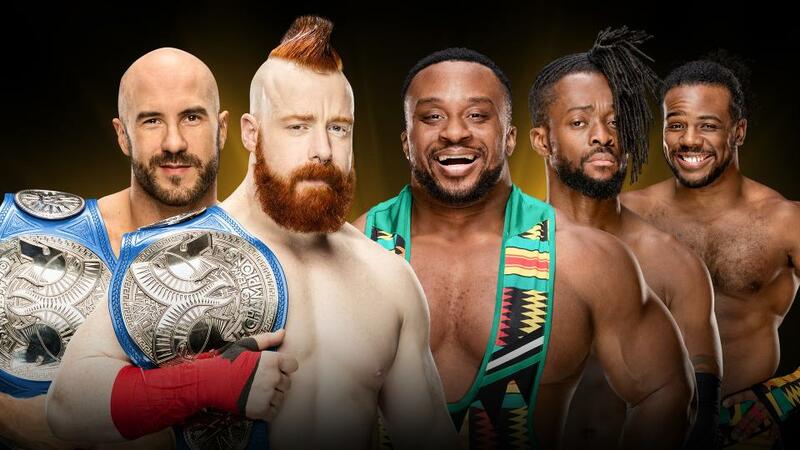 Cesaro and Sheamus win a Triple-Threat Tag Team Match against Seth Rollins and Dean Ambrose, as well as Luke Gallows and Karl Anderson. 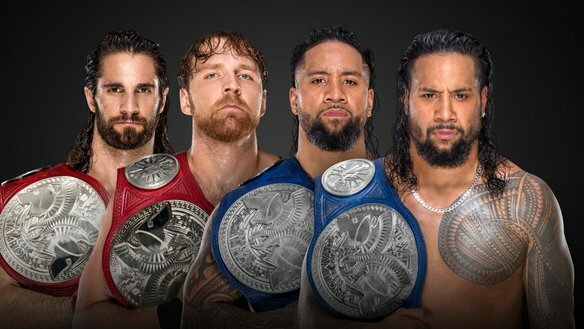 Whoever walks out of No Mercy with the belts (I assume it’s going to be Rollins and Ambrose) desperately needs to find new dance partners. It’s been these three teams week after week. How about the Miztourage? Apollo Crews def. Curt Hawkins. So they’re doing a kind of reverse undefeated streak thing with Curt Hawkins. That’s kind of fun. A the very least it’s something for Hawkins to do every week. 115-0? Damn. 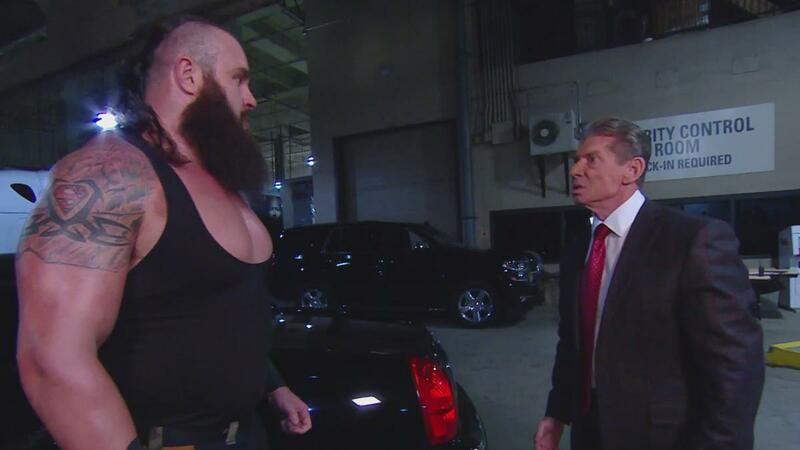 A split-screen interview airs with Braun Strowman, Brock Lesnar, and Paul Heyman. Watch Brock during this segment. He’s by no means a great promo or a great actor. But he can be very effective by doing very little. Until the end of the interview, Brock looked about as uncertain as he’s ever been. But then he pulled it out at the end with that line about being backed into a corner. 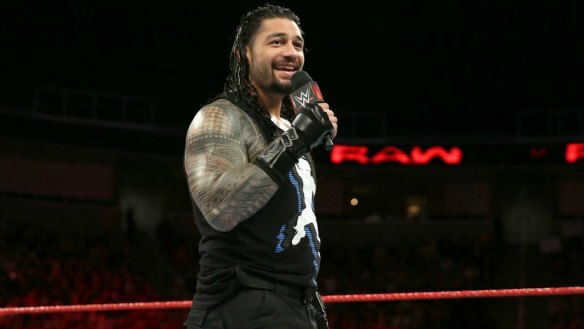 Roman Reigns cuts a promo on John Cena, name-drops Alex Riley. There was a good amount of buzz from Reigns mentioning Alex Riley here. 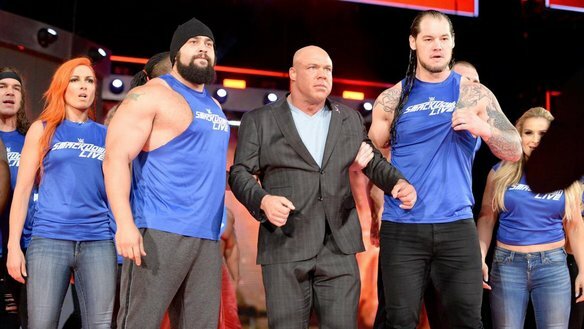 The story has always been that something happened between Cena and Riley that kept the latter from really going anywhere in WWE. The real-life Kevin Kiley Jr. has never spoken about it publicly. 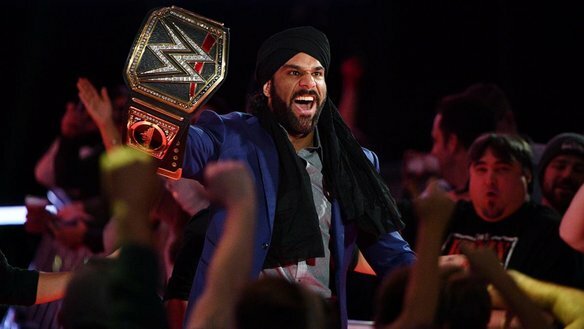 But former WWE talents like Ryback and JTG have alluded to it. 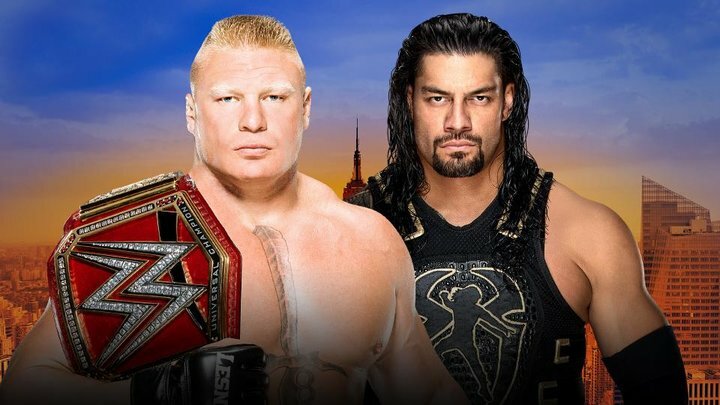 It’s very curious that WWE would have Reigns allude to it like this. They’ve been playing to the smart mark crowd quite heavily with this program, which isn’t the approach anyone expected. 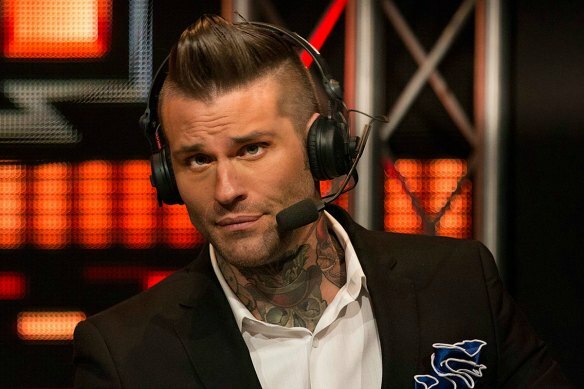 The stuff about Reigns’ drug test, this Alex Riley thing, the talk about Reigns not being able to do his job, it’s all insider type stuff. I imagine the strategy here is to get the die-hards riled up, so the casuals look in to see what all the fuss is about. It’s an interesting idea. No Mercy will ultimately determine whether it pays off. Bray Wyatt def. Dustin Rhodes. Finn Balor cuts a promo for No Mercy. I loved this. A logical way to play off of what happened with these two last week. And it didn’t hurt Dustin that much, as Bray caught him by surprise with the Sister Abigail. Nice promo from Balor. 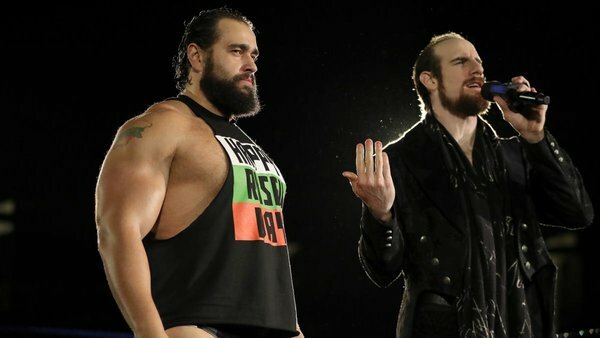 More menacing than anything Bray has done in recent weeks. WWE airs a tribute to Bobby Heenan. I was initially miffed that WWE didn’t do a 10-bell salute for Bobby. But this wound up being better. Cole hit the nail on the head when he said Bobby would never, ever be replaced. Braun Strowman destroys Enzo Amore. Neville hits a Red Arrow on a defenseless Enzo. A good portion of the audience ate this up. 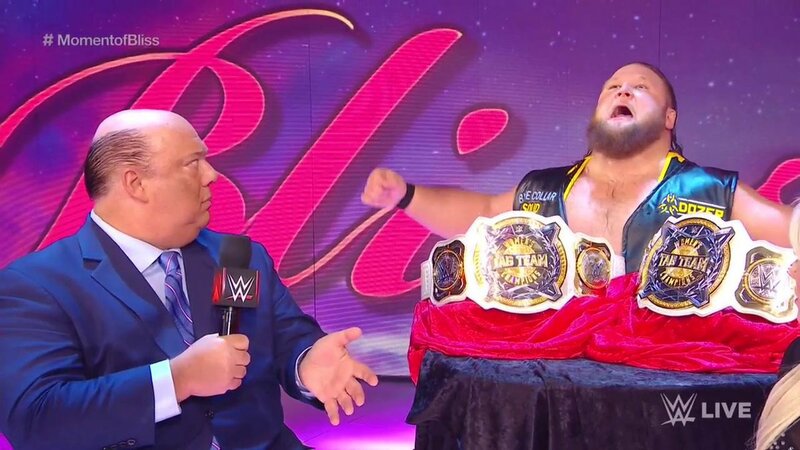 Did you hear those “Thank you Strowman!” chants? Neville def. Gran Metalik, nearly unmasking him in the process. 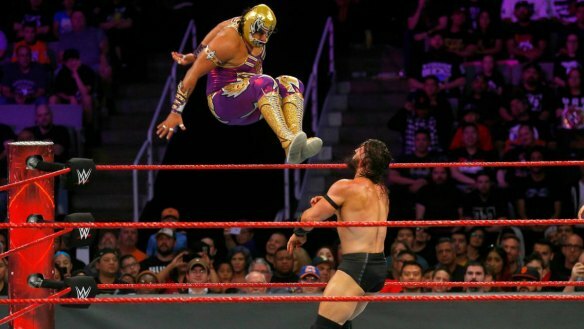 Um…were we meant to see that much of Gran Metalik’s face? For all intents and purposes, the guy got unmasked here. Fodder for a future story, perhaps? Jason Jordan def. Jeff Hardy, Matt Hardy, Elias, Bo Dallas, and Curtis Axel to earn a title shot against the Miz at No Mercy. Please don’t let Jordan get the belt. As I said last week, the fans will chew him up and spit him out. 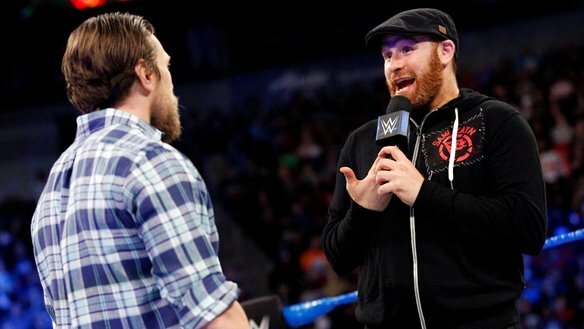 Let Miz beat him, so the frustration mounts even more. That’s a much better story. 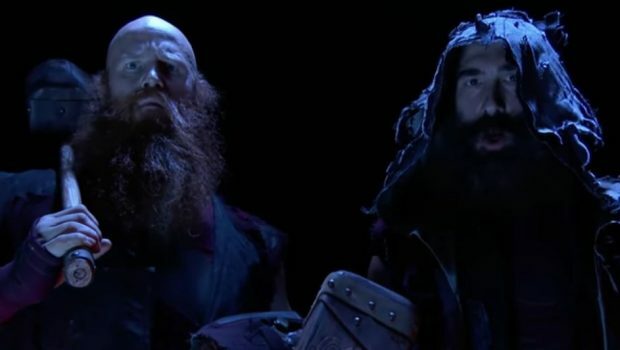 This entry was posted in Uncategorized and tagged Alex Riley, Alexa Bliss, Apollo Crews, Bayley, Bo Dallas, Bobby Heenan, Braun Strowman, Bray Wyatt, Brock Lesnar, Brock Lesnar vs. Braun Strowman, Cesaro, Curt Hawkins, Curtis Axel, Dean Ambrose, Dustin Rhodes, Elias (WWE), Enzo Amore, Finn Balor, Goldust, Gran Metalik, Jason Jordan, Jeff Hardy, John Cena, Karl Anderson, Kurt Angle, Luke Gallows, Matt Hardy, Neville, Nia Jax, Paul Heyman, pro wrestling, Roman Reigns, Sasha Banks, Seth Rollins, Sheamus, Starrcade, Sting, The Miz, Twitter, WCW, WWE, WWE Monday Night Raw, WWE news, WWE No Mercy, WWE No Mercy 2017, WWE Raw, WWE Raw results, WWE reviews, WWE rumors on 09/19/2017 by primaryignition.